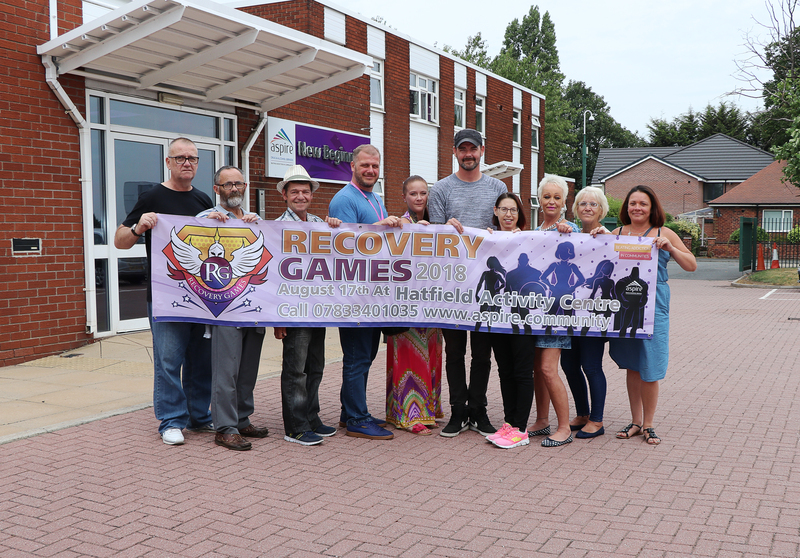 Around 600 competitors in 44 teams are set to take part in the fifth annual Recovery Games in Hatfield on Friday August 17. The event at Hatfield Activity Centre, Hatfield Marina in Doncaster is being held to celebrate wellbeing and recovery from drug and alcohol dependence by Aspire Drug and Alcohol Service, which is run by Rotherham Doncaster and South Humber NHS Foundation Trust (RDaSH) in partnership with registered charity The Alcohol and Drug Service (ADS). Service users, volunteers and staff from Aspire, ADS and RDaSH work together in teams of eight to 10 people and compete in Gladiator-style events and obstacle courses – over land and in water – against other teams from services across the region. As well as the games, health professionals will be on hand for help and advice, along with motivational speakers, fun activities for families, children and friends, and much more. The first rounds kick off at 10am, followed by a festival of colours during the lunch break at 12.30pm, which will be a free-flowing for participants to dance, chase and generally get messy with dry multi-coloured powder paints. The all-important final will take place at around 4.30pm.